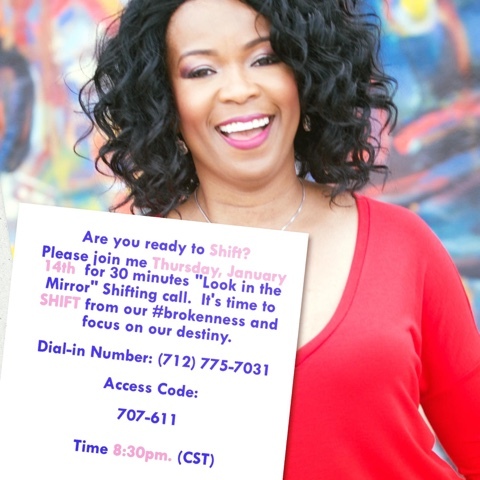 Monica Johnson's Blog : Are You Ready Shift? Please join me Thursday, January 14th for 30 minutes "Look in the Mirror" Shifting call. It's time to SHIFT from our #brokenness and focus on our destiny.